The plan encompassed by Discovery Keycare is aimed directly at family. It’s much more than just run of the mill medical aid. The Discovery KeyCare plan is all about giving you decent cover, while at the same time helping you find the best places and practitioners that ensure your health. A detailed explanation of hospital cover is available to Keycare members who need it. Other daily health benefits are also available to top off this great plan. Let’s get a more in-depth look at the programme. Ever heard the saying, ‘You get what you pay for’? Well, Keycare attempts to give members more than what they paid for. It’s all about creating a package that fits in with yours and your family’s needs. (Discovery Health KeyCare Plus is an especially comprehensive plan which we’ll look at later). This can be seen best when looking at their network of health care professionals. They pay these individuals in full because they are trusted affiliates of Discovery. Your health is in Discovery’s best interest, because they pay if something happens to you. That means that if they trust the practitioners on the Discovery KeyCare Plus doctor’s list, then you can too. All of the Discovery Keycare plans were made for families with children. The amount allocated to children’s medical needs can be paid out for any of one, two or three children. Having this kind of umbrella over your kids will put you at ease regarding their health. With three children under this cover, it doesn’t matter which one gets sick. Your single payment covers all three of them. Another great aspect of Discovery Keycare is that you receive unlimited hospital cover. Besides having a list of Discovery KeyCare doctors, they also have a list of approved hospitals where full cover is offered. 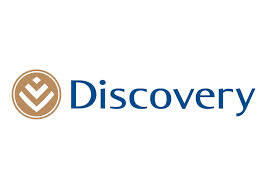 These are dependable institutions that Discovery trusts with their members. Discovery KeyCare hospitals are proficient in all major hospital services. At the end of the day, you know that you’re in good hands. Discovery’s Keycare plan is not a package on its own. Within the Keycare series they have three varying packages which have been tweaked to suit individual needs. You can choose the best one suited to you based on your income. Discovery Health KeyCare keeps you and your family medically safe in more ways than one. Check out their plan and feel free to compare it with other medical aid schemes. You’ll soon see that the benefits associated with the Discovery Keycare plan supersede any other competing package. Whether you opt for Discovery KeyCare Plus, Discovery KeyCare Access, or Discovery KeyCare Core, know that you’re in safe hands. ← Dark Days Ahead for Hospital Insurance?